Back in 2014, Jim Sluzewski, SVP, Macy’s said, “We are taking cues from our customers and beacon technology is helping us do that”. Four years later, the beacon use cases have multiplied by several folds. Like every technology graph, beacon technology has also aligned itself to the Gartner’s hype cycle. According to this cycle, every emerging technology starts with an innovation trigger and then reaches a peak of inflated expectations. This is when businesses set huge and unreal expectations from the technology. Eventually, it goes through the trough of disillusionment and slope of enlightenment. This is where expectations are managed. The final step is the plateau of productivity. This is when the technology settles and one knows the best way to use the technology. 2019 is expected to be this stage of the cycle. 2018 has witnessed a maturity in the beacon use cases and we are definitely moving towards the plateau of productivity. In this blog post, we will discuss some of the most talked about beacon use cases of 2018 and takeaways for 2019. In an effort to tie consumers closer to the point-of-sale, Pepsi has modernized its approach which includes marketing channels like beacons and digital billboards. They ran a two-part campaign in the Netherlands that encouraged consumers to take a blind taste challenge comparing Coke and Pepsi. The campaign was triggered using a beacon deployed on the tasting machine and involved an app to receive the campaign. The second part of the campaign was smart retargeting. When the same consumer walks into a shopping mall in Amsterdam, Utrecht, the Hague and Rotterdam, beacon technology was used to create a unique ID for users logged in from the app. This ID created triggered the digital display when a taste tester walked into a mall. Pepsi only paid for placement when the ad played. This not only made the campaign very impactful but also extremely cost-effective. 2. Amazon Go led the pack for a cashierless store and various brick-and-mortar stores followed. Amazon Go pioneered the concept of a cashierless store and demonstrated how mobile technology can be used to enhance the in-store experience. Amazon Go used multiple technologies along with beacon technology to achieve this. Following the trend, retailers like 7-Eleven and Sam’s club store implemented the self-checkout store. 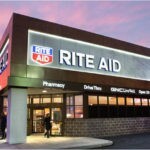 Both of these retailers used beacons for in-store navigation that enhances the experience in smart stores. Read more about small businesses can use beacons to create an impact like Amazon Go. The combination of retail and banking has always been a power couple. In this case, the State Bank of India, one of the largest banks in India partnered with a retail chain Star bazaar to enhance the experience of consumers and get more business. With beacons, Star Bazaar triggers in-store offer details which consumers can avail in real-time. Consumers very often forget about the card offers while checkout. Beacon notifications remind consumers of these offers at the checkout counters. These notifications also allow customers to connect with an in-store sales representative and apply for the Star Card right away. On the other hand, SBI is looking to benefit by driving more customers to stores by broadcasting SBI card offers. An early mobile pioneer, Starbucks has merged its loyalty platform, mobile app and in-store point-of-sale systems to create a powerful mix of mobile technology that loyal customers use and trust. According to eMarketer, 23.4 million people use the Starbucks app to make a purchase at least once every six months. Owing to Starbucks’s ability to tie payments to its loyalty rewards program, users can save time and money, all while racking up rewards and offers. Starbucks believes that when beacons keep reminding customers about the reward points, they will get tempted to buy more. Collingwood annual street event is conducted Downtown Collingwood every year. It has a different theme every year. For 2018, the theme was Collingwood history. As a part of the event decor, painted Muskoka chairs are lined on sidewalks. The art was hand-painted by various local artists. The event managers rightly decide to inform attendees about these beautiful pieces of art. They used beacons on every chair and calibrated them in a way that attendees passing a specific chair gets details about it. The campaign redirected them to the art street’s website. This campaign was extremely successful and highly appreciated by the attendees. Enhancing engagement and bringing back loyal customers is the future of beacon-powered proximity marketing. 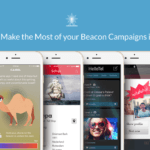 Attracting customers is not something that beacon campaigns are moving towards.